ARTHUR C CLARKE once famously remarked: “Any sufficiently advanced technology is indistinguishable from magic.” Catalysed by the internet, the pace of technological change and scientific breakthroughs is accelerating making it impossible to predict the next big idea. This summit will bring together high profile leaders from the most innovative companies that are reshaping, creating, disrupting, and expanding markets across the technology landscape. We will discuss what impacts these technologies could have for growth and performance of organisations and society, and ultimately what it will take to be successful in this brave new world. How can we harness the benefits of new technologies whilst limiting the negative externalities ? How should the education system adapt to meet the needs of a hi-tech economy ? How can we boost creativity in schools ? Why is the Sharing Economy taking off now ? Which are the most successful companies in the Sharing Economy and why ? What are the implications for consumers and traditional businesses ? Which industries are most at risk of disruption ? How can large corporates retain the most innovative and creative employees ? What mind sets, methods and leadership approaches are required ? What are the most interesting applications of blockchain technology ? How can blockchain technologies transform financial services ? Who are the leading players in blockchain technology ? What does the future hold for augmented and virtual reality and how will it impact our lives ? What can users do and experience ? How could mobile augmented reality revolutionise shopping ? Latest uses of virtual and augmented reality in education, gaming, pilot training and business applications? 4:00 pm 5:00 pm Robotics: I think therefore I am ? Can robots develop a sense of self ? 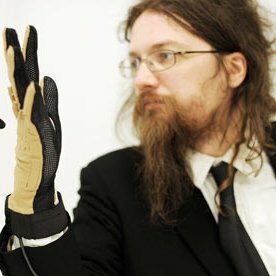 What challenges must be overcome to make a robotic hand ? 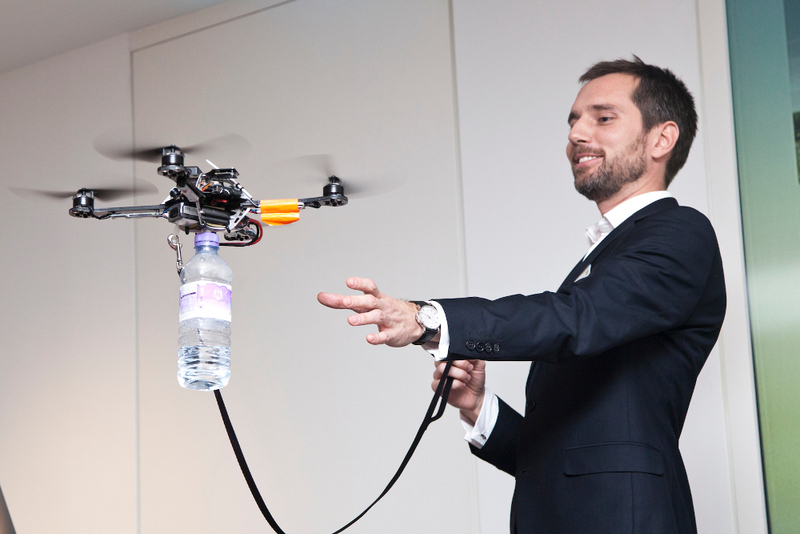 How could Unmanned Aerial Vehicles improve the quality of our lives? 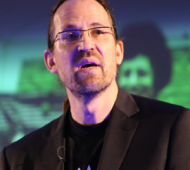 Dave Coplin is author of two books on the need to rethink the usage of technology in the modern world. He is currently the Chief Envisioning Officer for Microsoft UK and an established thought leader on the role of technology in our personal and professional lives. He has worked across a wide range of industries and customers, providing strategic advice and guidance around the intersection of a modern society and technology both inside and outside of the world of work. His first book: “Business Reimagined”, provided a view of a new working environment based on collaborative and flexible working. His latest book, “The Rise of the Humans” provides a further call to action, for both individuals and organisations to harness the digital deluge, to rise up and take back control of the potential that technology offers our society. Dave can be found on Twitter – @dcoplin and at his online home, www.theenvisioners.com . 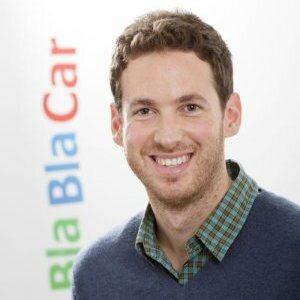 Daniel Benamran is General Manager UK at BlaBlaCar, the global ride sharing community that connects drivers who have empty seats with people travelling the same way. 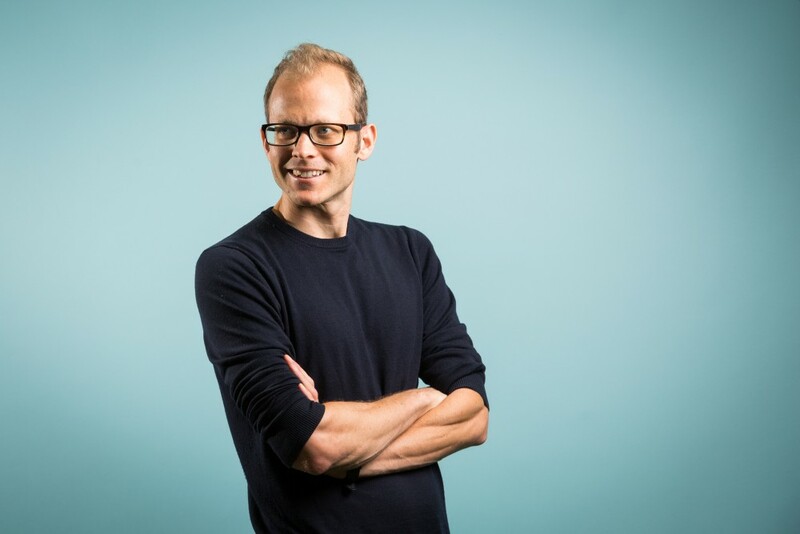 Shortly after joining the Marketing team in the Paris headquarters, Daniel moved to London to open the UK office and support the international expansion of the fast-growing company. Daniel holds a Masters in Management from EM Lyon, gained after studies in Lyon and Shanghai. He started his career in private equity, and before joining BlaBlaCar he participated in the early stages of the leading French crowdfunding platform, KissKissBankBank. His experiences bring him a global vision of the challenges inherent to scaling collaborative consumption models. Roddy co-founded London’s first hedge fund manager, IFM Asset Management, in 1984, going on to launch Cross Asset Management at the inception of the Euro in 1998. The company managed money for clients ranging from the World Bank to varied private investors and was sold to RAB Capital plc in 2005. Campbell remained to run the company until 2011, when he took a sabbatical to study at the LSE. In 2014 Campbell founded Vrumi with friend William Sieghart. He is an experienced entrepreneur in all aspects of founding, managing, and growing businesses. 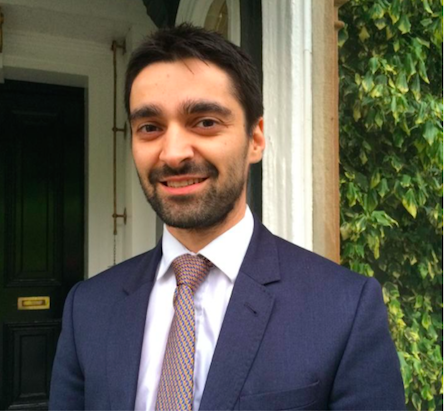 He is also part of the Sharing Economy UK board. 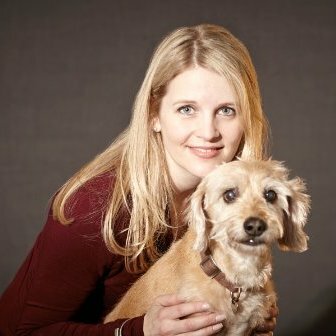 Rikke came up with the concept for BorrowMyDoggy on a beautiful Summer day in 2012, where she borrowed a brown labrador called Aston. She is the Founder & CEO of the company and has 15 years of experience working mainly in financial services and entrepreneurship. She was born in Denmark, has lived in the US, the UK and Latin America, and moved to London 10 years ago. She holds an MBA from INSEAD and is passionate about making a difference. Global Services is a global leader in managed networked IT services, serving around 6,500 large corporate and public sector customers in over 170 countries worldwide, including 98 per cent of the FTSE 100 and 82 per cent of the Fortune 500. It’s a £6.5bn business. Since his appointment as CEO, Luis has led a significant transformation, further consolidating our position as a global leader. 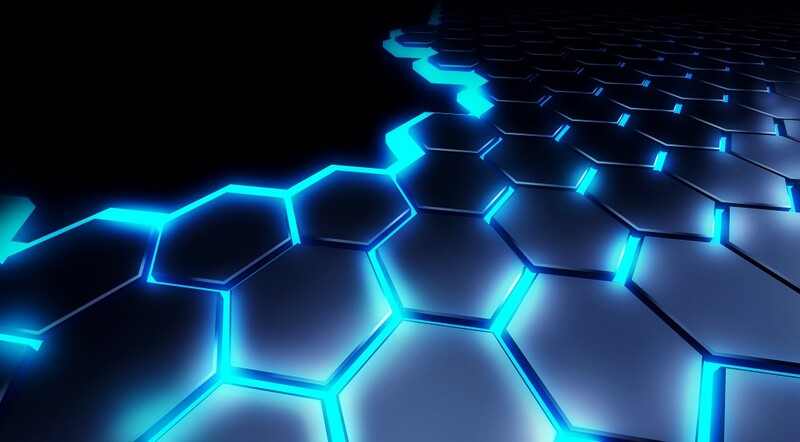 Industry analyst Gartner recently rated Global Services a leader in their Global Network Services Magic Quadrant for the eleventh time. Luis joined BT in April 1999 as multimedia and internet director, then as country manager for BT’s Spanish, Portuguese and Latin American operations. In 2007, he became president of BT in Europe, Middle East and Africa and Latin America, orchestrating plans for quick and profitable growth and serving some of our biggest global customers. He ran BT’s Global Telecom Markets unit, managing business with carriers and operators outside the UK. He also created BT Advise, our professional services team that delivers consulting, systems integration and managed services around the world. Prior to BT, Luis worked at Ericsson and IBM. 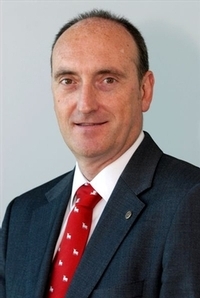 In 1987 he joined Grupo Santander, where he worked in several management positions in IT, before going on to become director of Electronic Banking at Banesto. He has won many awards, including one from ComputerWorld recognising his international career, and a “Manager of the year” award from Directivo Plus. The Spanish Association of Telecommunications Engineers named him Engineer of the Year in 2009 and ESIC recently recognised his career and professional achievements. Luis has a telecommunications engineering degree from UPM, Madrid, and continued his education at ESADE, IMD and Tuck University. 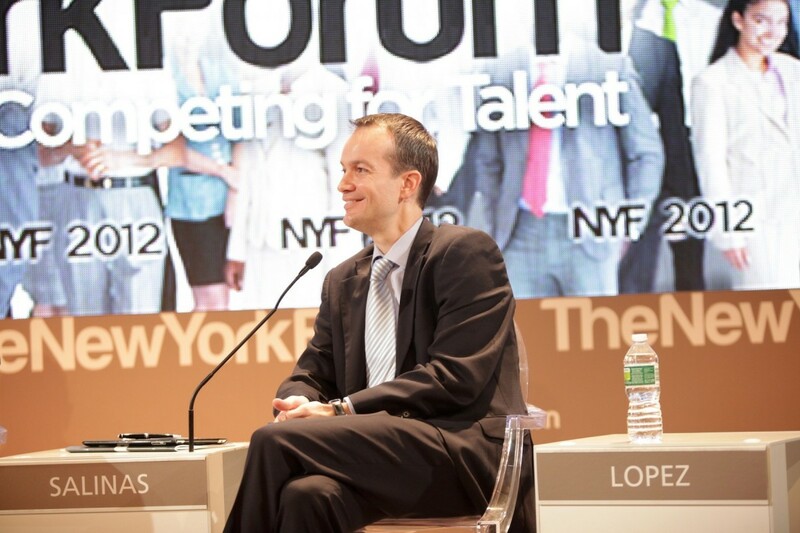 A member of a number of business associations, Luis is often called upon to speak at ICT sector international conferences and forums, including World Economic Forum events. He is very active in BT’s global sustainability work, sponsoring several highly respected corporate social responsibility initiatives in Spain, Brazil and Colombia. Barnaby has a diverse background covering innovation, entrepreneurship and marketing in both small and large enterprises such as Green & Blacks, Coca Cola and the The London 2012 Summer Olympics. In 2010 he co-founded BlikBook, a VC backed education technology business that uses machine learning to create predictive analytics for top universities around the world. After growing the business internationally to over 20 countries Blikbook was sold to Civitas Learning in 2015. Since then Barnaby has been the Head of Marketing for Google for Work UK&I where he helps enterprises of all sizes adopt cloud based productivity tools to help them be more agile, productive and innovative. He holds an MBA with distinction from London Business School and a 1st Class BA from the University of Nottingham. Barnaby is a good travel companion, enthusiastic cyclist and hopeful cook. After completing his studies of „Maschinenbau” at University of Hannover Bernd Korves went on to obtain a Ph.D. at the Mechanical & Manufacturing Engineering Department at The Birmingham University, UK. Dr. Bernd Korves joined Siemens research headquarters in Munich in 1999 as Program Leader in Virtual Engineering. After various positions at the Siemens corporate headquarter he took over the position as Head of R&D and Engineering at the Postal Automation Unit in Dallas, Texas. From 2007 he headed the Global Technology Field “Production Networks & Factory Planning” as an research & internal consulting unit. 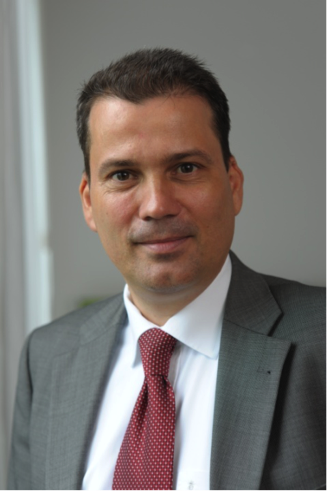 After leading roles in Technology and Innovation Management (University Relations / external Collaboration) he is now in charge of the Visioning & Scouting Department at Corporate Technology were Siemens develops its Pictures of the Future and new methods of Open Innovation. In addition Dr. Korves represents Siemens in EFFRA (European Factories of the Future Research Association) as an elected Board member. Dave has worked in the IT industry for 26 years. 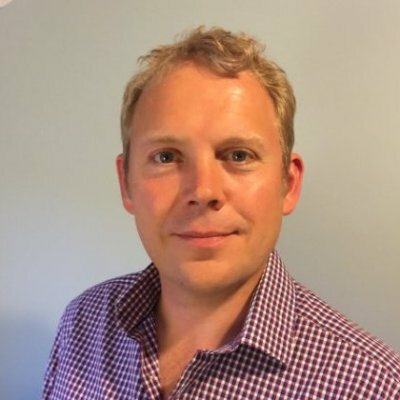 He is currently part of the IBM CTO Europe team, specialising in blockchain, and is based at the IBM Hursley Laboratory in Hampshire. The team is the center of blockchain client enablement worldwide for IBM. Alasdair is the Head of Technology at Everledger – a digital, global ledger that tracks and protects items of value. 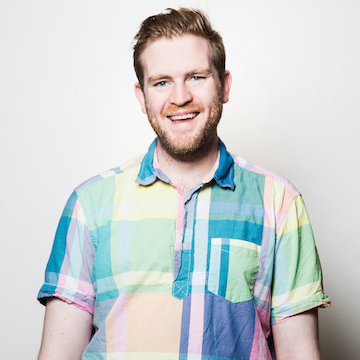 Before joining Everledger, Alasdair co-founded Decoded in 2011 with the goal of teaching the world to code. He oversaw Decoded’s growth, scaling the company to over a hundred people across London and New York and was part of the nationwide movement that got Computing into the UK national curriculum. 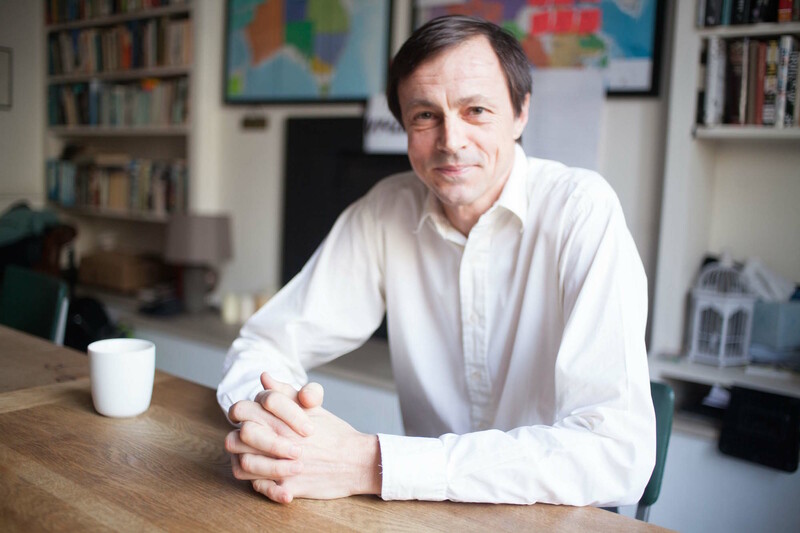 Alasdair has served on the board of Tech City Stars, worked extensively with Citizens UK’s Good Jobs Campaign and was a Commissioner for the London Fairness Commission. Mária is on a mission to make mobile and virtual reality experiences compelling and accessible to millions of people around the world. With over a decade of experience in technology and marketing, she is currently Product Marketing lead at Samsung where she led the European launch of some of the brand’s most iconic products such as the Galaxy S7 lineup, Gear VR powered by Oculus and Gear 360 camera. 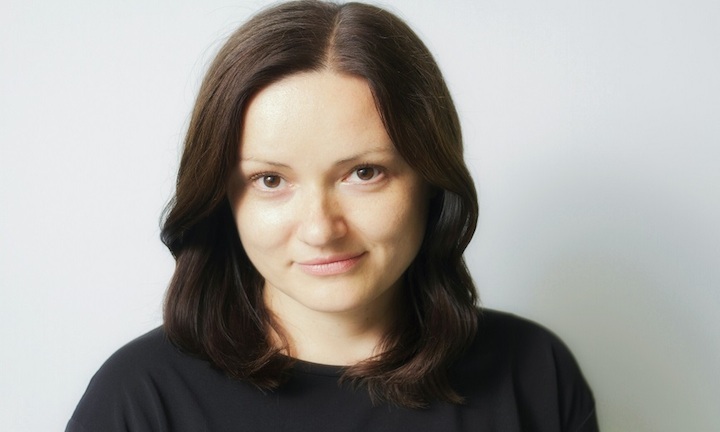 Mária frequently speaks at events, sharing her extensive knowledge and experience. She also acts as an advisor to early stage VR startups and established businesses looking to utilize 360 video and virtual reality. Danny Lopez is the COO for Blippar, the leading technology company specializing in augmented reality, artificial intelligence and computer vision. Prior to Blippar Danny Lopez was the British Consul General to New York for 5 years and was responsible for promoting the UK’s economic profile, foreign policy and national security priorities in New York and surrounding states. During this time Danny was also the Director General for UK Trade & Investment in North America, leading its operations across the USA, Canada and the Caribbean. In 2012 he co-founded the GREAT Tech Awards, launched by Prime Minister David Cameron, and which celebrate the tech ecosystems on both sides of the Atlantic. Danny enjoyed a varied career in the UK’s public and private sectors. From 2009 to 2011, he worked for the London Development Agency, the Mayor of London’s economic development arm, as Group Director for Business Support and Promotion. During this time, he was responsible for creating London & Partners, the UK capital’s promotional agency for business, visitors and students and was its inaugural CEO. Dominic Collins runs the EMEA region at Jaunt VR, the world’s leading Virtual Reality media and production company. Based in London, Dominic is responsible for working with global brands, agencies and content partners to create ground-breaking, immersive story-telling and cinematic 3D VR experiences. 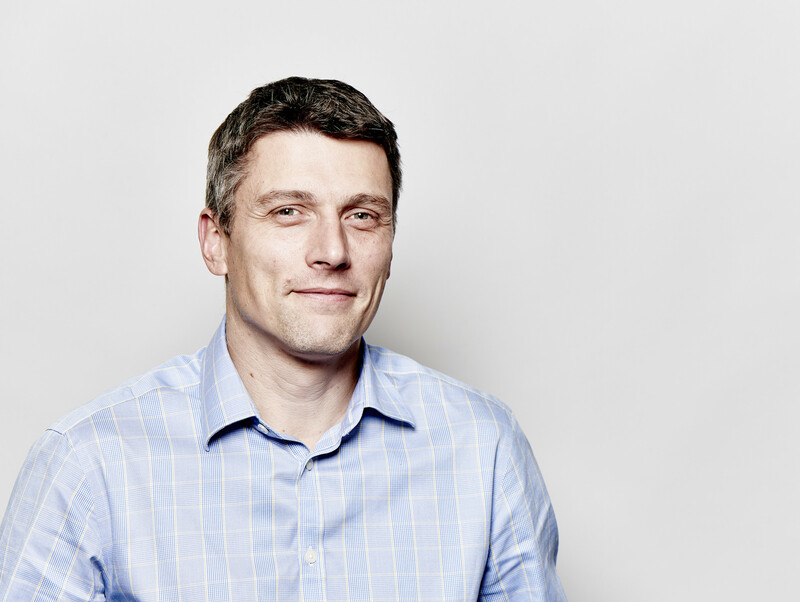 Before joining Jaunt, Dominic was the Group Chief Marketing Officer of Legal & General, with executive responsibility for Brand, Marketing & Communications, Digital, Customer Experience, Data & Insight and L&G’s Internal Brand and Employee Experience. Dominic previously led many large digital businesses and transformations including as Director of Digital at EE (also Orange & T-Mobile), where he managed the digital launch of the EE brand and the transformation of the company’s digital customer experience and technology. Dominic was also CEO of two France Telecom companies, Orange Digital and Unanimis, was Group Director at Trader Media Group where he managed the autotrader.co.uk business and its digital transformation and was Director of Digital Products & Services at Sky. Dominic advises and invests in innovative and successful start-ups, most recently working with SoAmpli, a global social media business that empowers a company’s employees to become social media influencers in their authentic voice, generating sales leads and increasing market awareness. Tony Prescott develops biomimetic robots that resemble animals, including humans. His goal is both to advance the understanding of biological life, and to create useful new technologies such as assistive, educational and entertainment robots. 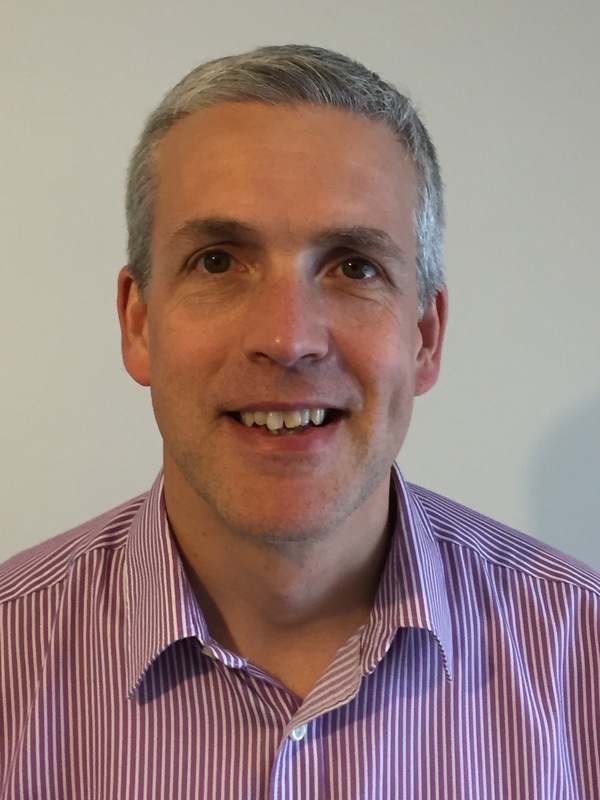 Tony is the co-founder and current Director of Sheffield Robotics a cross-institutional robotics research institute with over one hundred active researchers. With his collaborators he has developed the whiskered robots Scratchbot and Shrewbot and the companion robot pet MiRo. He is currently working to develop brain-like control systems for the iCub humanoid robot that will provide the robot with a “sense of self”. As the co-founder of the British start-up company Consequential Robotics he is also engaged in commercial projects to develop assistive robots that will enhance the experience of life as we age. 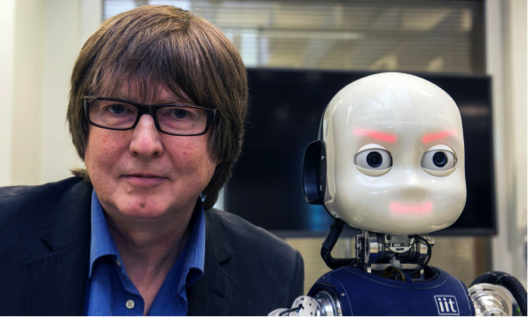 As a founding member of the EPSRC Robotics and Autonomous Systems Network, he is involved in developing strategies for knowledge transfer, internationalisation, and outreach for UK activities in robotics. His research has been covered by the major news and scientific media including the BBC, CNN, Discovery Channel, Science Magazine and New Scientist. I’ve spent years working in robotics, and now lead the team at Shadow who are developing new robots and new applications for robotics. I’m active in developing and implementing European (FP7 and now Horizon 2020) and Innovate UK projects and always happy to discuss possible projects and proposal ideas. I’m on the Innovate UK “Robotics and Autonomous Systems” SIG Advisory Board, as well as several EPSRC robotics advisory boards and management committees, so if you have strong opinions about what we’re doing right or wrong about robotics in the UK, then please get in touch. I also am one of the three SME Directors of the EuRobotics association, helping shape the robotics roadmaps there and trying to make sure European robotics does some of the right things! Outside windowless rooms with powerpoint presentations, I like to find new ways we can apply next-generation robotics technology and thinking to solver real-world problems. Even if someone else does it! I’ve been the CTO at Tharsus Group for coming up to 9 years now, responsible for the 35 strong multi-disciplinary engineering team who create, design and validate the products that Tharsus manufacture on behalf of our clients. Over the years I’ve grown the technical team’s expertise to include Mechanical, Electrical, Electronic and Firmware capabilities, and together we’ve realized a very diverse portfolio of highly complex electro-mechanical products; from electric vehicle charging stations and parts washing machines to hydrogen generators, 3D X-Ray Machines – and everything in-between. Since 2013, I’ve been fully embedded in the Robotics and Automation world, developing and manufacturing over 300 material handling robots in a series that will run at thousands per year. The nature and magnitude of this (RAS) product has progressed Tharsus into our next stage of growth, where the design and manufacture of robotic solutions has become the core of our business. My passion for getting products and machines out of the minds of inventors and researchers and into the real world is driven largely by my belief that the gap between an innovative idea and a commercially successful product is a challenge that should not be underestimated. Having navigated these waters for the past decade, I’ve come to realize that there are no prizes for re-inventing the wheel, and isolated endeavours are always the hardest – so finding the right collaborative partner who will do what’s right by your product and search for the win-win is paramount to showing the world what your product can really do!